Nina Davuluri is Miss New York 2013 and Miss America 2014. 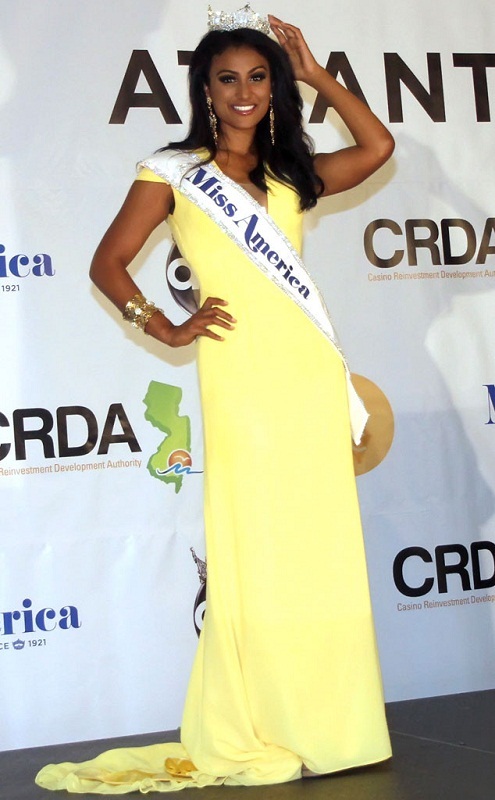 She is the first Indian American to be chosen as Miss America. Davuluri was born on April 20, 1989 in Syracuse, New York to Telugu parents of Hindu faith.